Do you lose your mojo, feel awkward and/or waste time with new prospect conversations? Even with the most brilliant personal branding, website, LinkedIn and marketing strategies you still need to qualify quickly. Learning how to qualify prospects if they are willing, ready and able is crucial. It will reduce stress, building confidence and moving on time wasters will be the kindest thing you can do for sanity in the process. Qualifying and moving on time wasters is a a problem everyone has, can or does face across corporate’s, SMEs, consultants and coaches. And not qualifying well can can hit hard in the pockets and hearts of small businesses and solo operators. But qualifying can be particularly tough for those who grapple with sales conversations , assertiveness or are in their first years of self-employment. Over recent years the buyers journey has shifted significantly with the digital age, social selling and content saturation. This means that buyers are often educated and researched prior. But its still critical to nail qualifying with elegance and ease to save time, money and our sanity. And it also helps build and maintain muscles of self-worth and boundaries. I didn’t use the phrase ‘clients’ in the headline for good reason. Technically until a trade of services and money takes place the person is a prospect. And in that enquiry and initial conversation phase both sides are evaluating if there is a fit together. The answer may be Yes or No – and it may come from either party or be mutual. 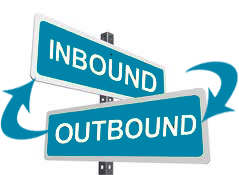 Be mindful always that incoming enquiries or referrals (Inbound) need to have the exact same qualifying process as proactive sales activities and conversations (Outbound). We assume that a referral or inbound enquiry is an easier conversation and quicker route to a sales conversion. This is just not always true. Often there is a greater need to quickly qualify referrals because despite kind and thoughtful intentions by the referrer there may be no alignment around the prospect being ready, willing and able. And incoming enquiries must similarly be taken through the qualifying process as the prospect’s intentions and direction is generally unclear and not committed to using your services. Each step Willing, Ready & Able should be be delivered with a friendly, light and no pressure mindset (after an initial rapport building chat and business overview) . Often during that phase the Willing & Ready steps are answered. But Able is where many come unstuck. But it will be pretty clear quickly where a prospect is on their acceptance. And your industry and own marketing efforts will have hopefully done a great job in raising that awareness. So this step can be a longer tail discussion to draw out the implications of problems. But for many services the need is a crystal clear and easy – but at what depth is a variable and needs extra probing. Many people may admit they have an issue but it’s in the ‘it doesnt worry me much‘ or ‘would be nice to solve when I have time etc’ vs ‘urgent must solve’ pot. And it’s the ‘must solve’ pot that you want to determine. There is no point investing further time now for those in the ‘in 12 months I will be ready’. Sure you can spend time creating pain hypothesis and showing the negative impact of NOT acting now in a prospects mind etc but generally it’s a longer slog (cost -opportunity based on $$ value needs discernment) But generally just keep these on your mailing list and engage on LI etc. It’s a bit like Anthony Robbins principle – the level of pain must surpass the level of comfort in changing the current situation. So just ask a direct question : When are you wanting to solve or get going on this issue? Immediately, in a few weeks or months, end of year etc. You want the truth here so give options and relieve the pressure so the prospect can share their truth. Sometimes prospects couldn’t give a hoot about fees because 1 & 2 is tacit and are simply seeking the best service provider. But this step is where many struggle (especially women) to have an overview financial chat. But it is critical to identify if the prospect is price shopping, a bargain hunter or seeking quality services. Identifying this before any further time, meetings or proposals is crucial – especially in services which are competitive. Sure price feels ‘tacky to discuss’ but it is the first objection given to squash a deal or get out of a uncomfortable conversation. NB: the size of the prospect will also have an initial bearing re capacity. If its a large company their resources generally don’t factor – its a whole range of other sales considerations. But if the prospect is a solo operator or small business capacity can and in most cases be a critical issue. If this is asked directly give your range. The bottom range in itself will self-select often. If your starting range is too much – there is no way the highest service has a chance of life. Try “it’s hard to say exactly for your own needs, but my services range anywhere from $xyz to $xyz. And if you don’t have a range, but an hourly rate or major package give it up front. No need to ‘prove your worth or value’ at this point. Pause and wait for the response and tone from the prospect. What they say next will be your general answer to further discussions. Dependent on their response you may then ask if they had a budget in mind. or you may dive deeper in services and results. Sometimes you get a prospect who just wants to dive straight into a price question. This is a red flag often (but dependent on the activity and engagement prior on social media, LI etc). So just give your range and save your time OR you may respond that it’s not your policy to give prices upfront without understanding needs and timelines. Hold your power and nerve. Be discerning in how you respond. So are your prospects Willing, Ready and Able? They may be going through a process of interviewing and deciding the best supplier for THEM (which is your opportunity to show them Why You Or it might just be a Great, what’s the next step to work together. There are very clever ways to minimise the price/fee shoppers in the way you communicate and position your brand and service proposition . This is the how and what of your own USP and offerings. It can include a element of storytelling into the way you position your offerings and value. It self selects and repels at the same time. So hold your nerve, do the steps, save time and qualify more ideal prospects.